Time Saver Wolf (TM) Text Management / Document Organization Software is a Trademark of Lone Wolf Software. All Rights Reserved. 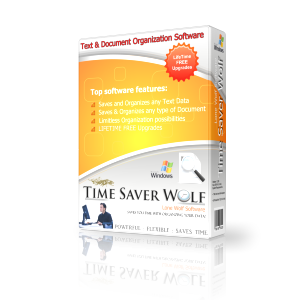 Time Saver Wolf is licensed as Shareware and distributed as Text Management Software, Document Organization Software, Text manager, Document Organizer.